2 Family sized self-contained cottages sleeping 6 & 7 people with balconies directly overlooking the water. 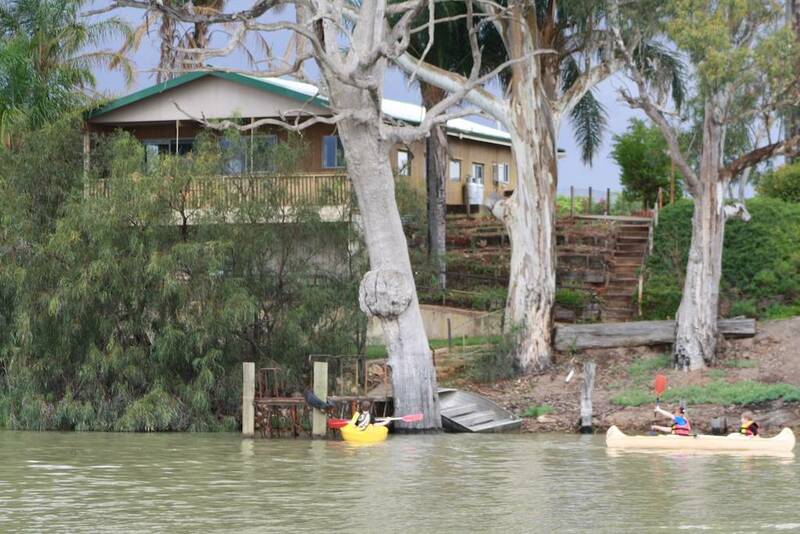 Both cottages have a private jetty just metres away for boat mooring, fishing, swimming & canoeing. 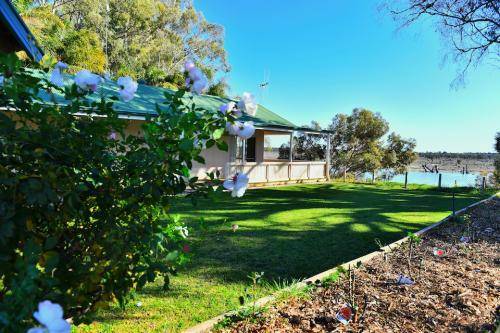 Set amongst large established gum trees & gardens with a working vineyard as a backdrop, this property is both peaceful & scenic. 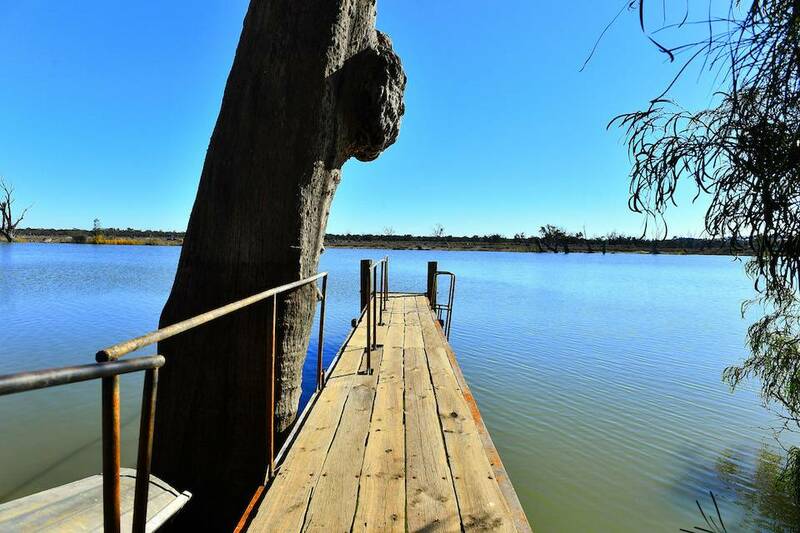 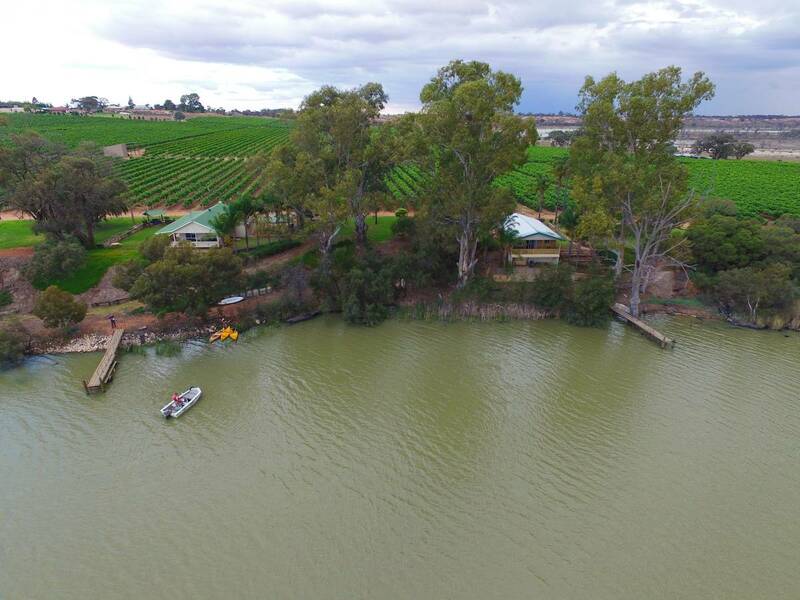 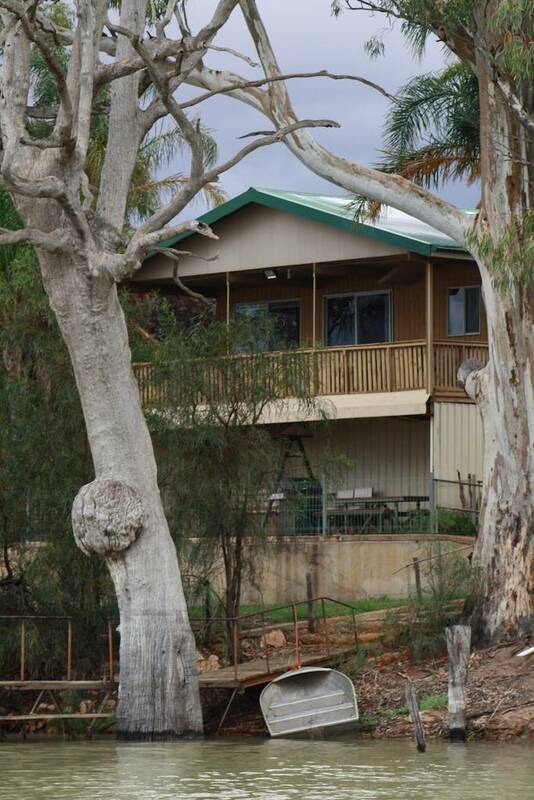 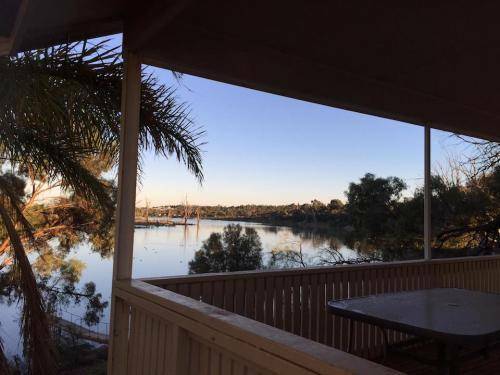 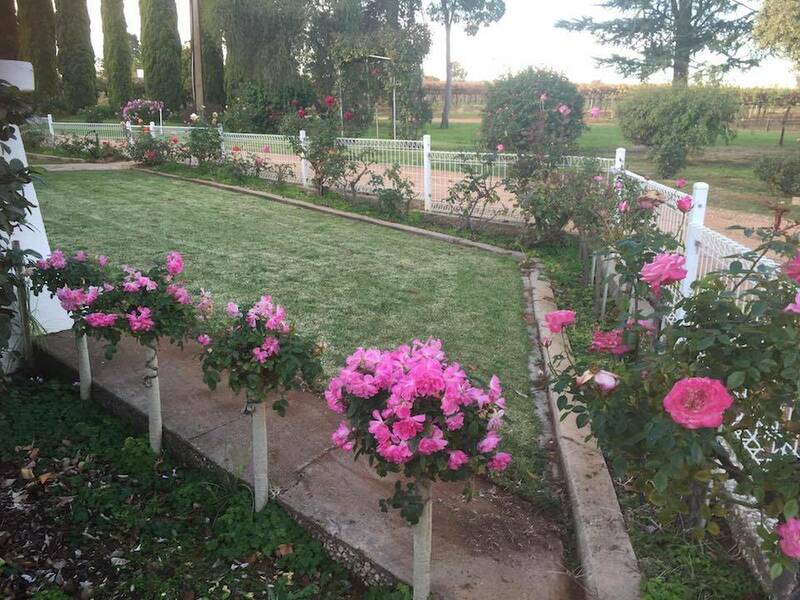 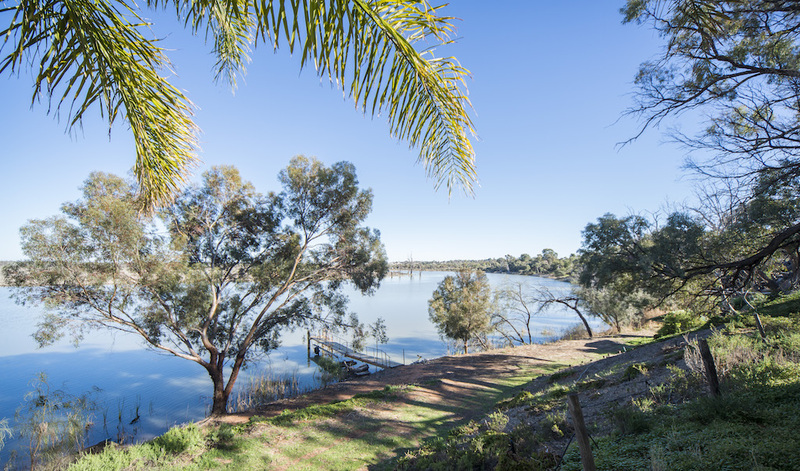 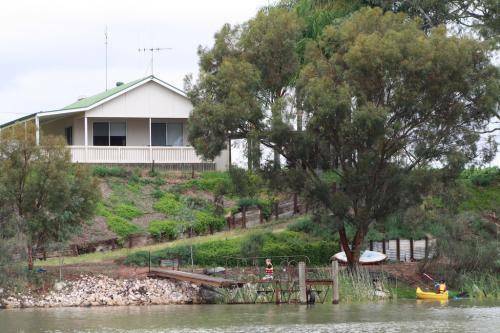 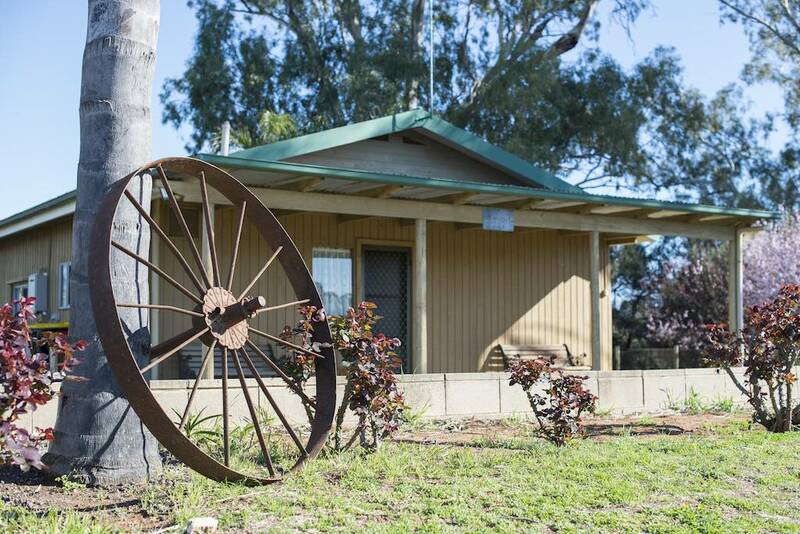 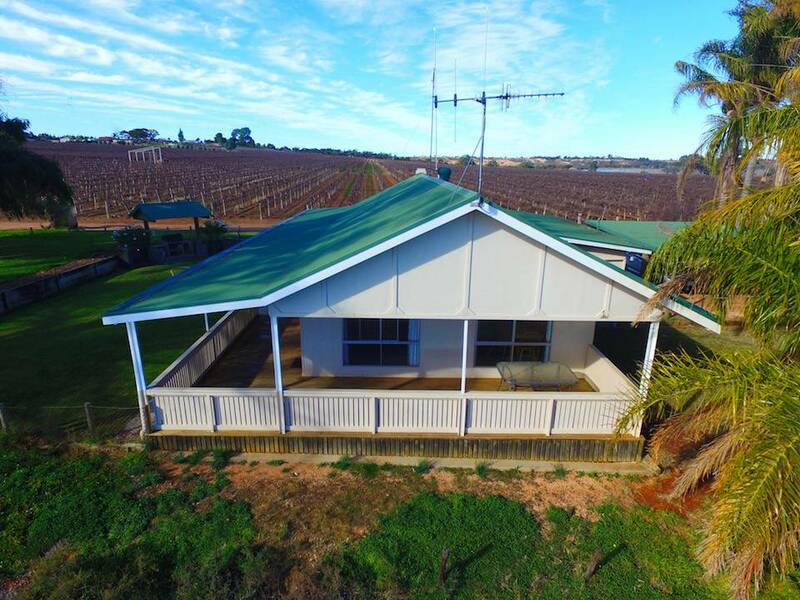 Contact us now to book this fantastic rural getaway in the heart of the Riverland. Each cottage has a fully equipped kitchen and includes linen & towels. 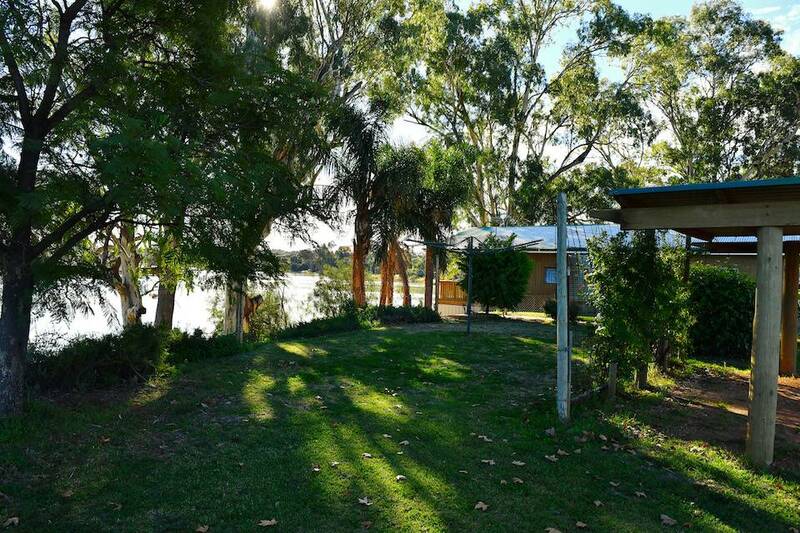 Groups travelling together are welcome to camp in caravans or tents in the gardens alongside a friend / family member renting a cottage at a minimal cost (using the cottage facilities). 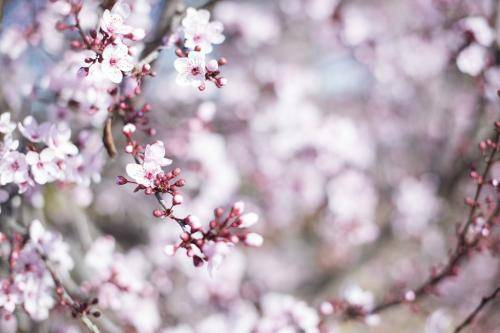 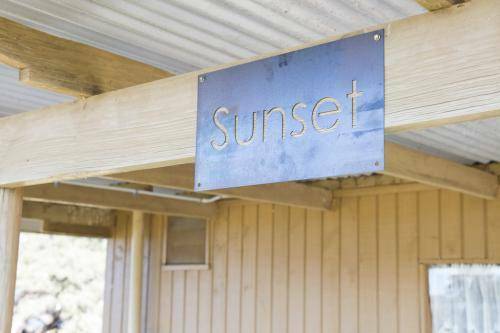 We want our guests to enjoy the peace & quiet, wildlife & fresh air our property has to offer. 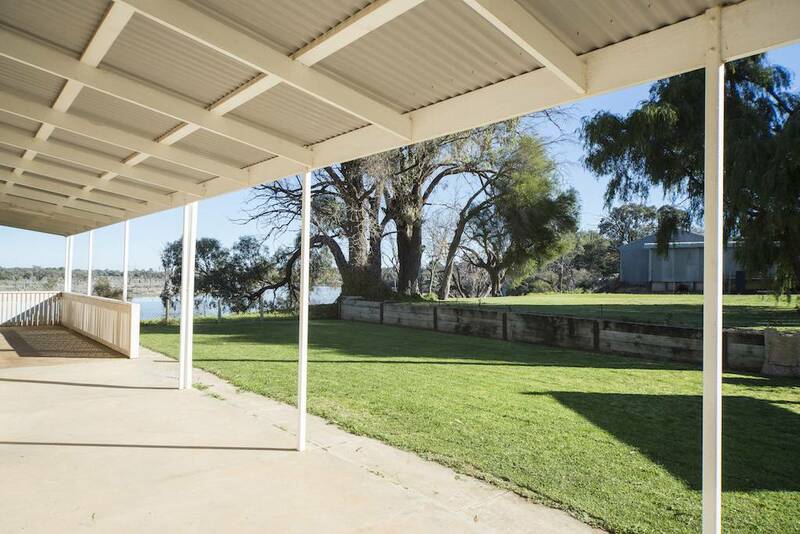 Nowhere else will you find such private waterfront accommodation so close to town. 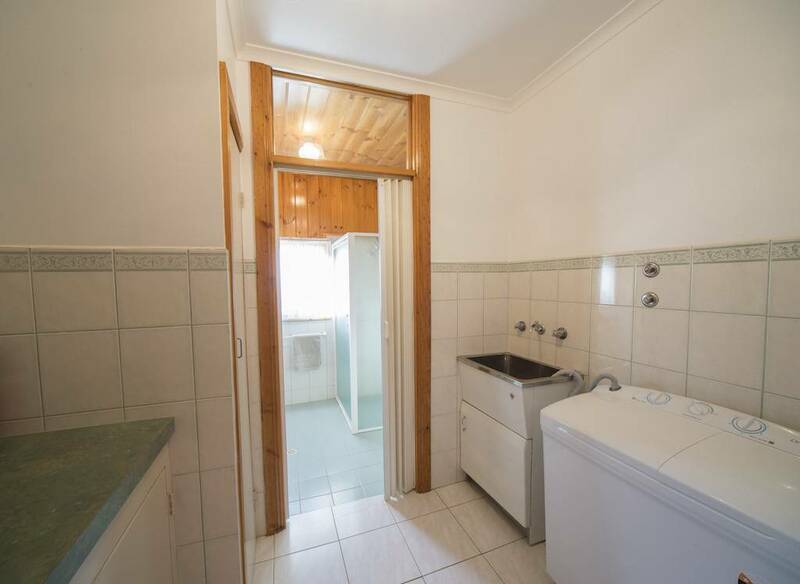 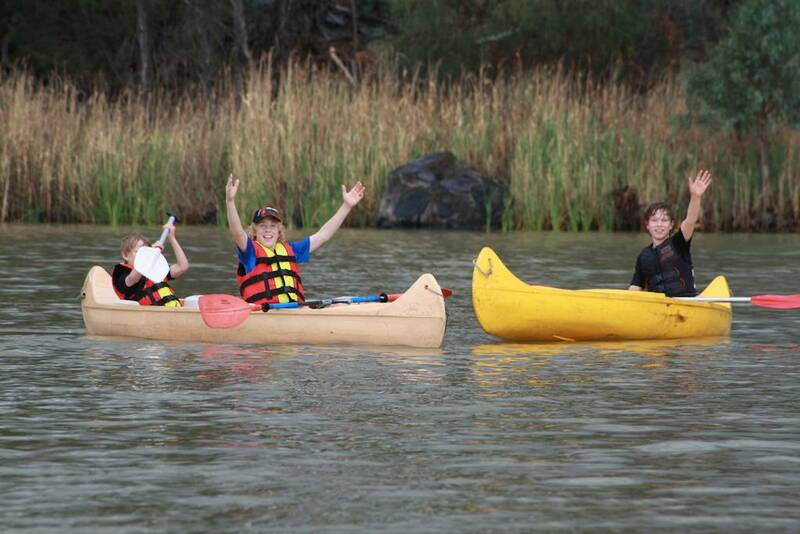 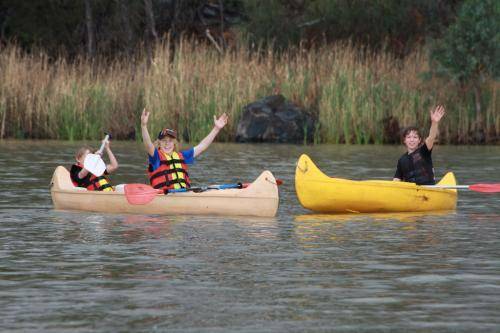 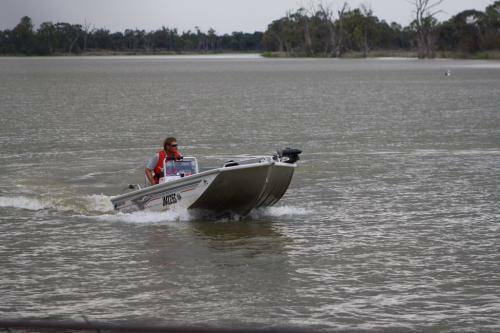 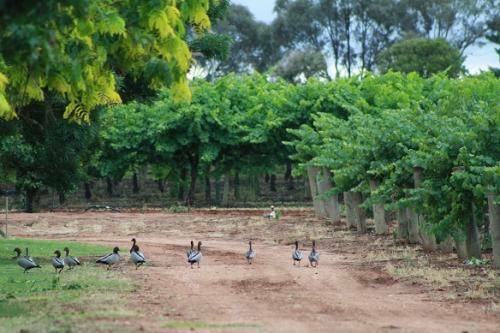 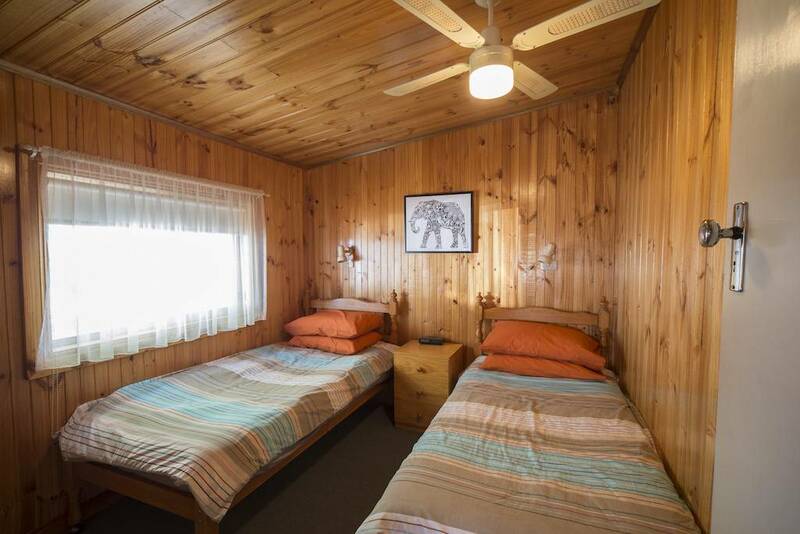 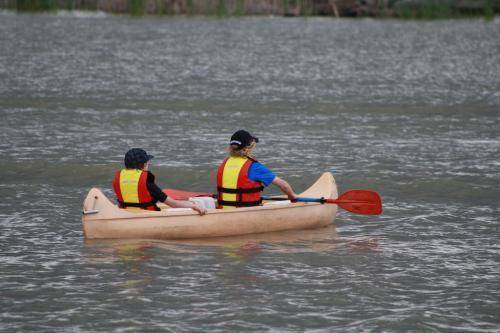 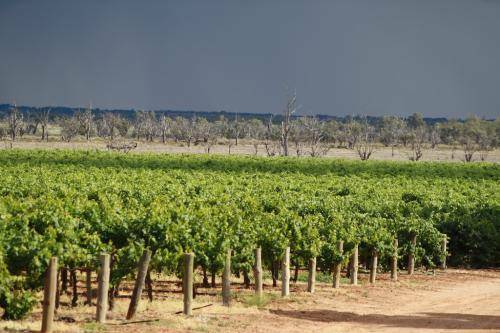 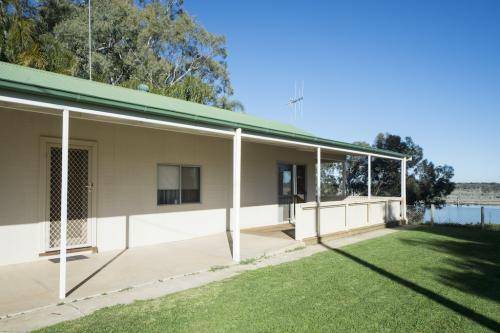 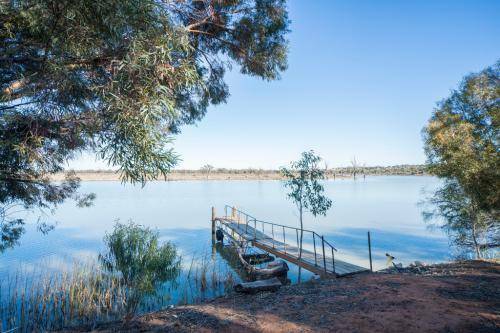 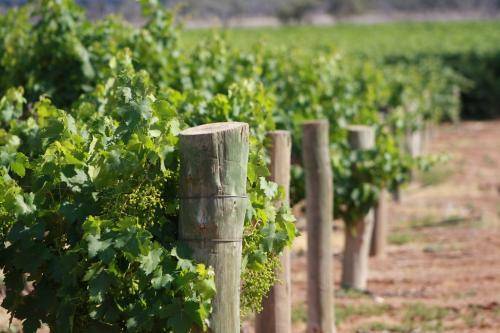 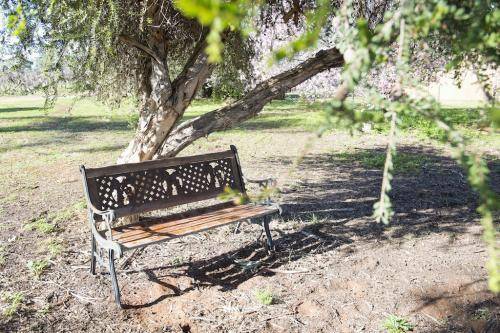 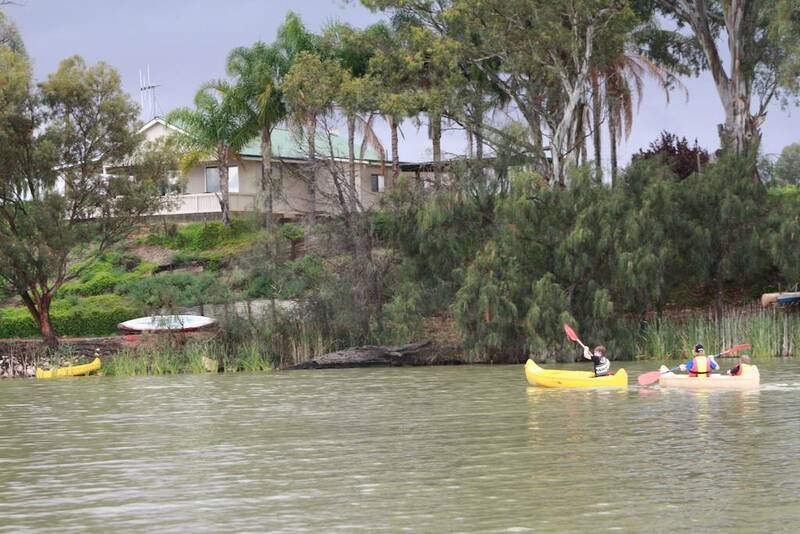 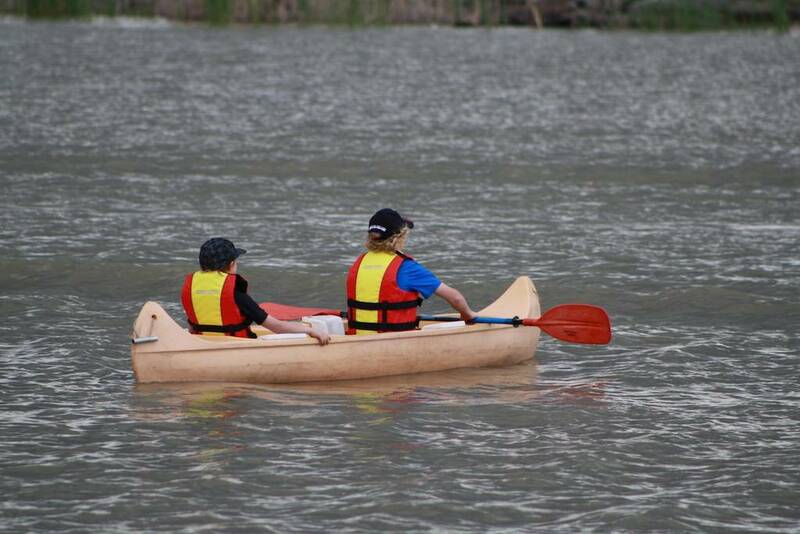 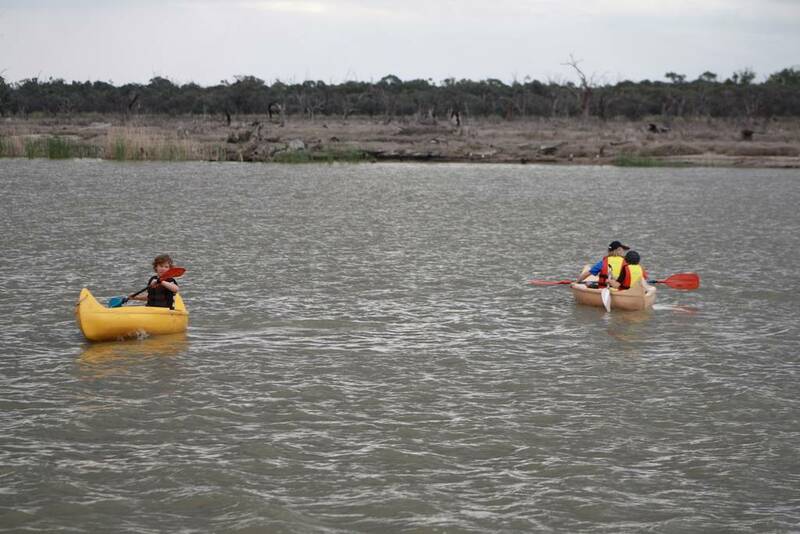 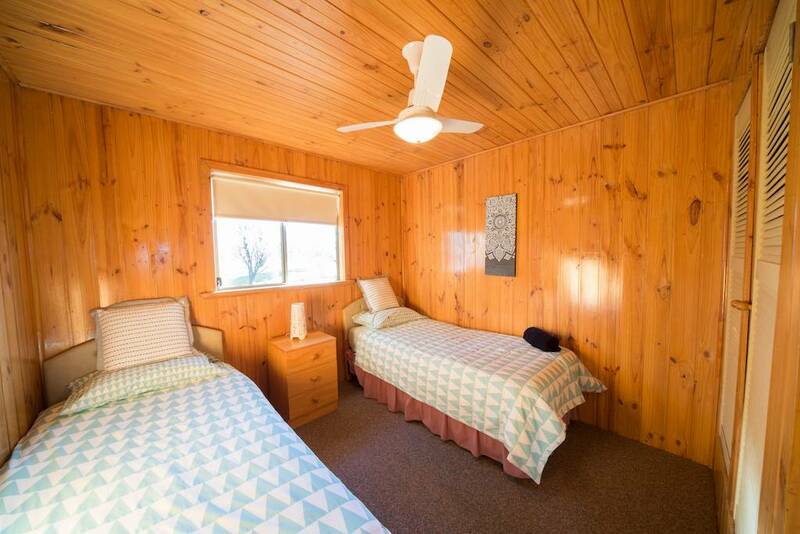 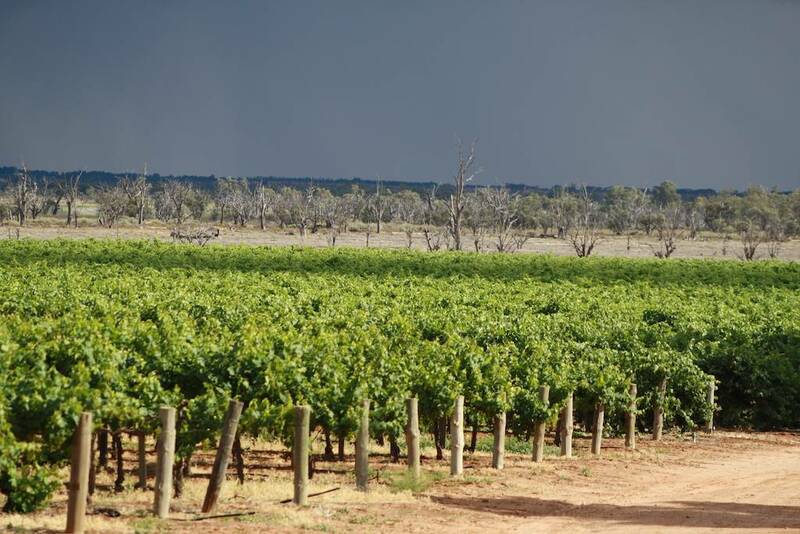 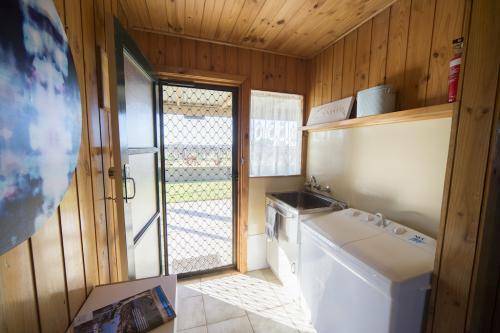 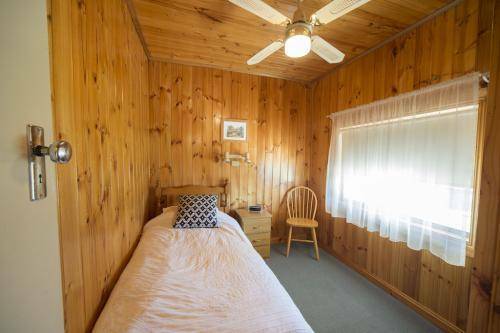 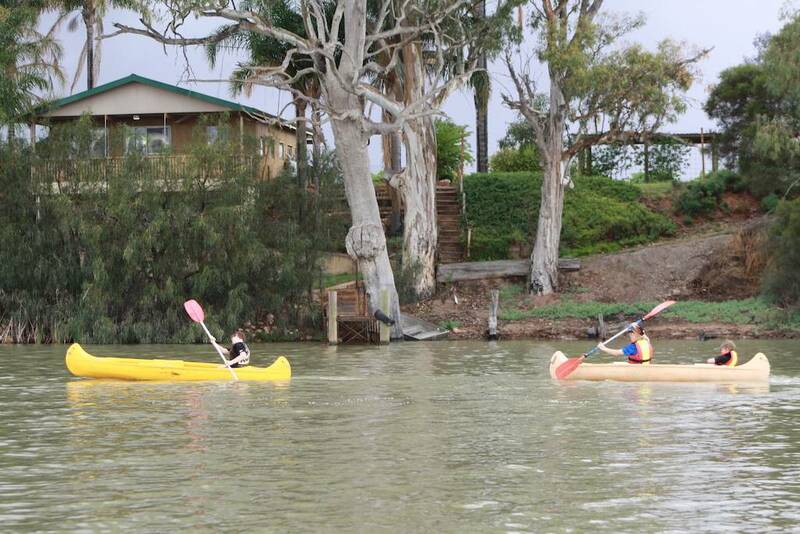 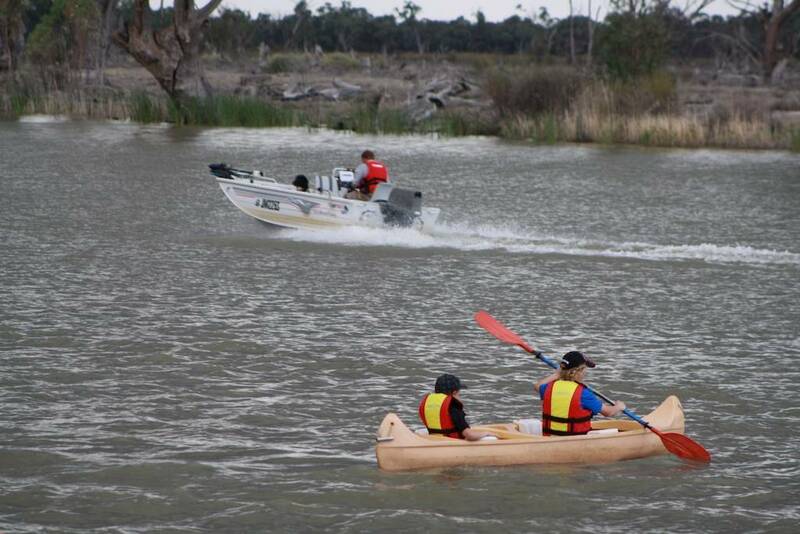 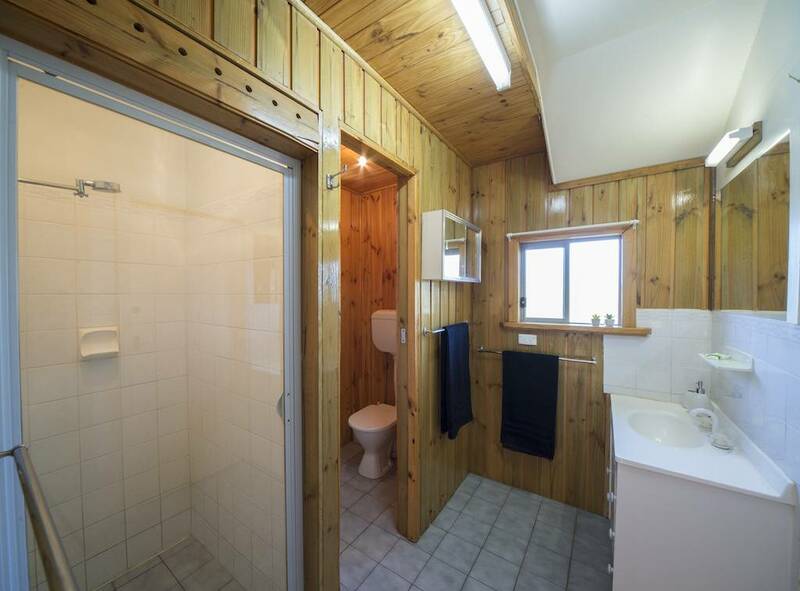 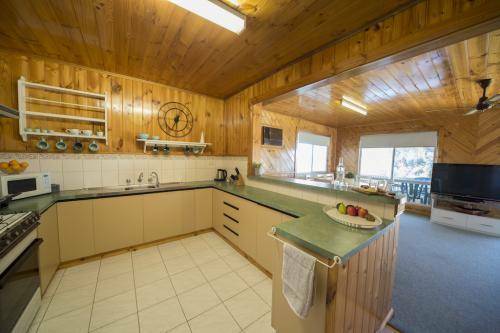 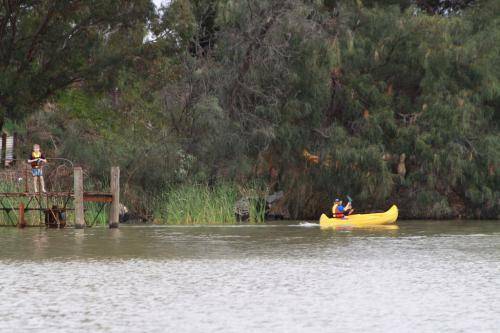 The cottages are just 1km from the Paringa township and 4km from Renmark SA. 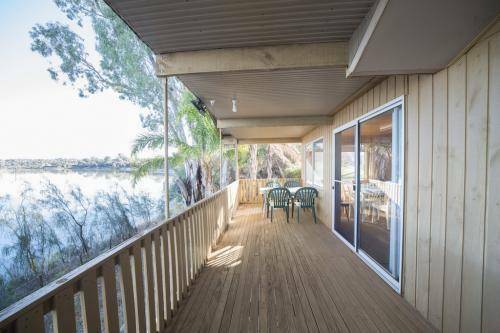 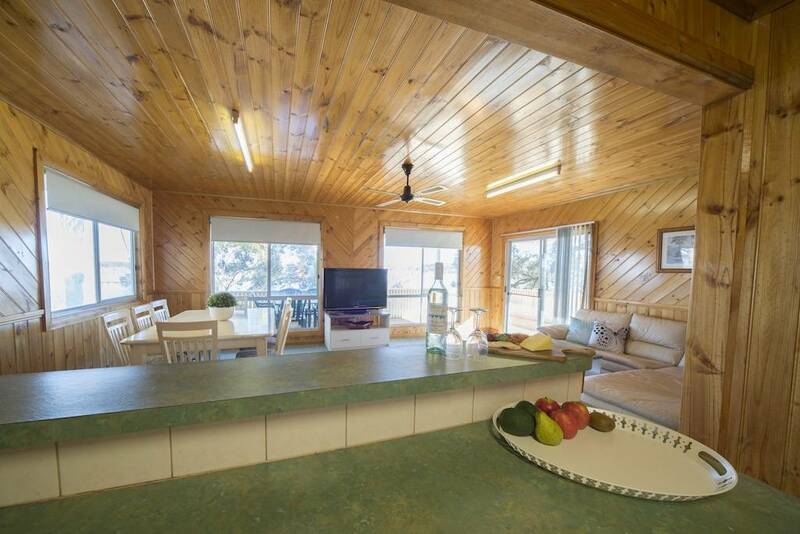 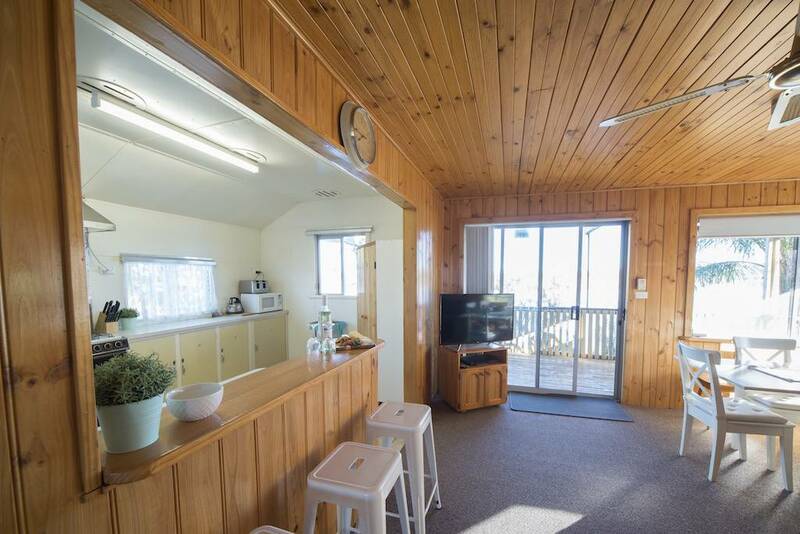 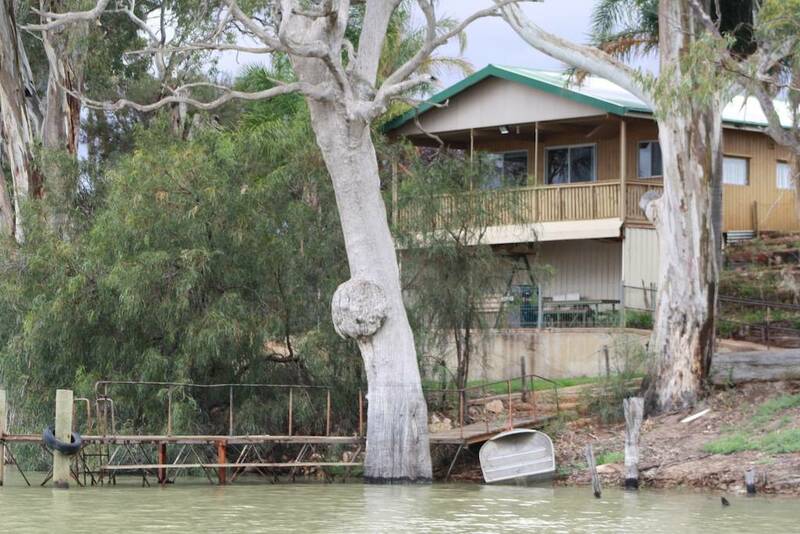 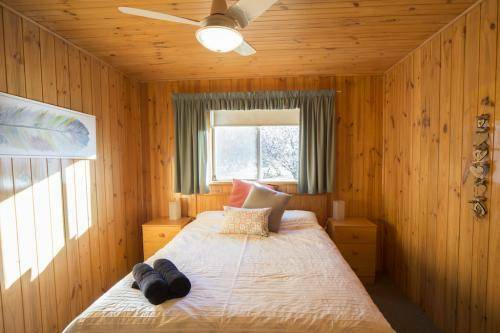 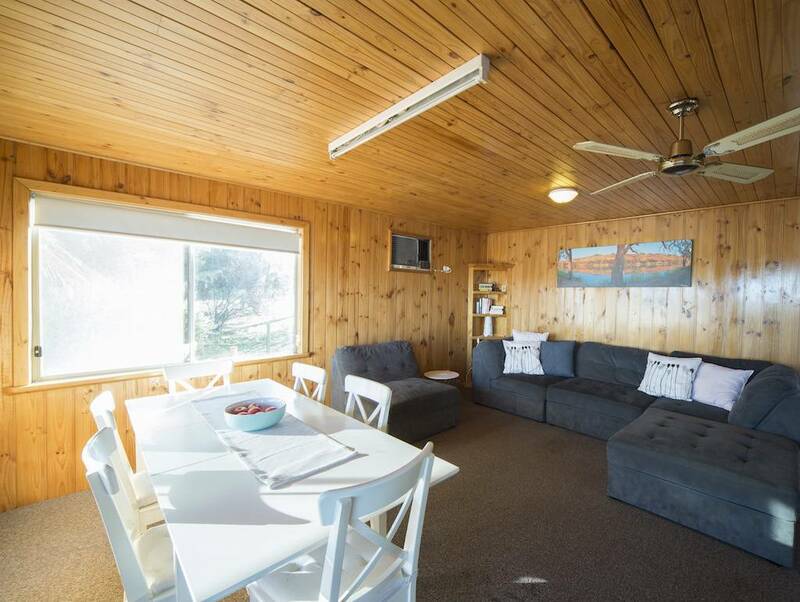 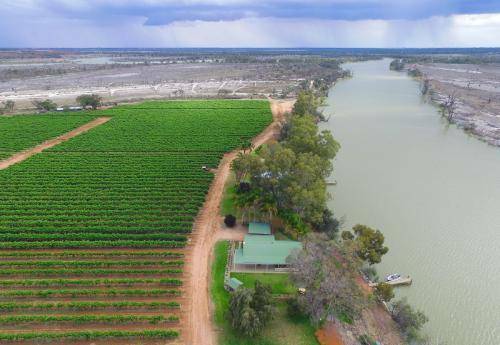 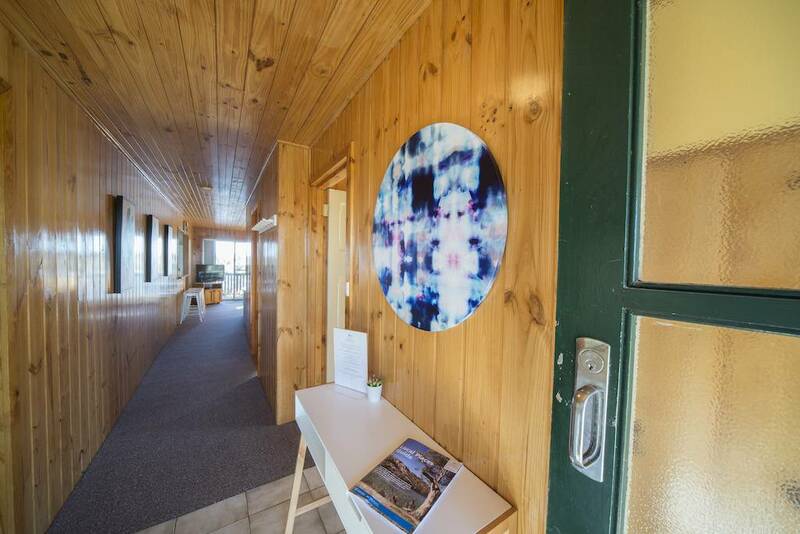 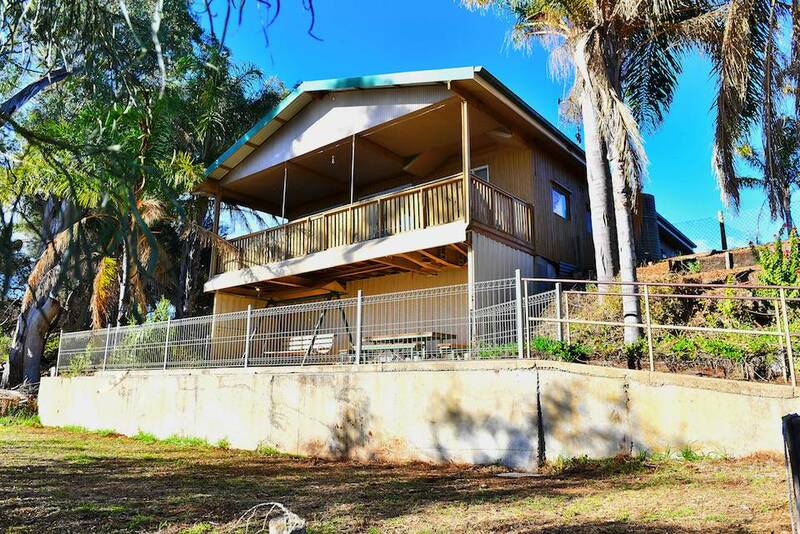 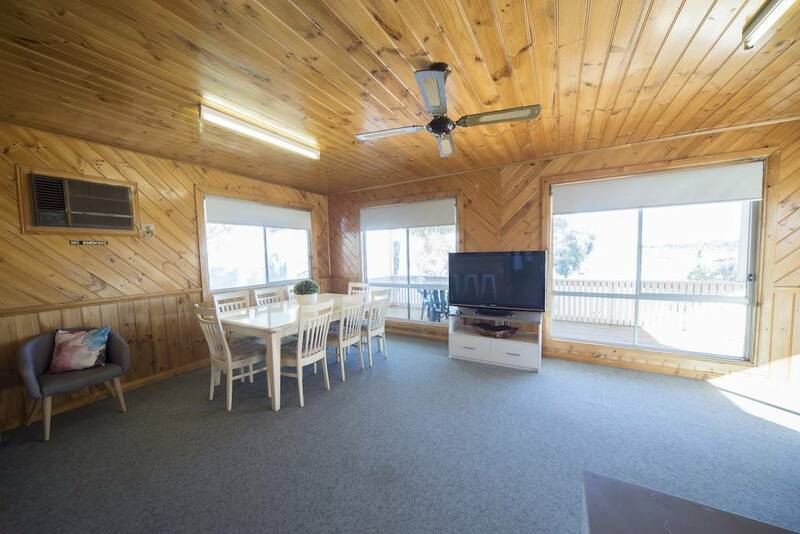 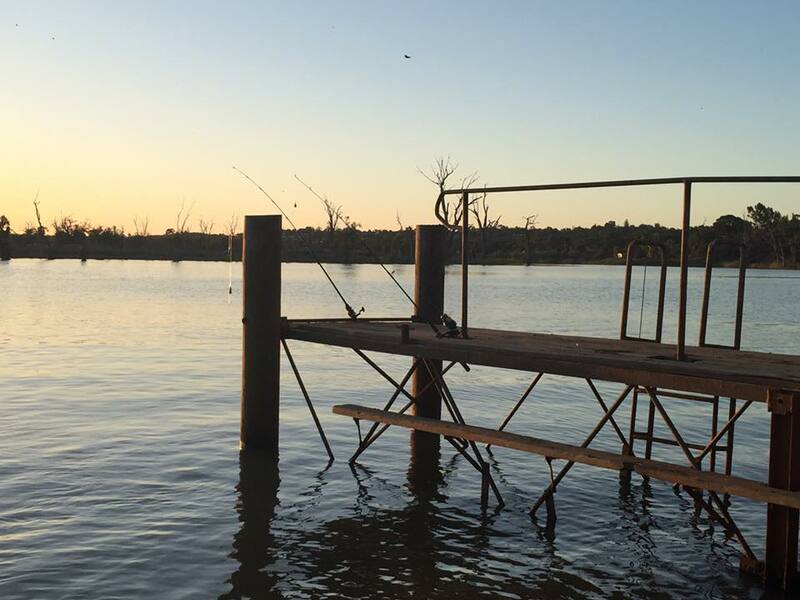 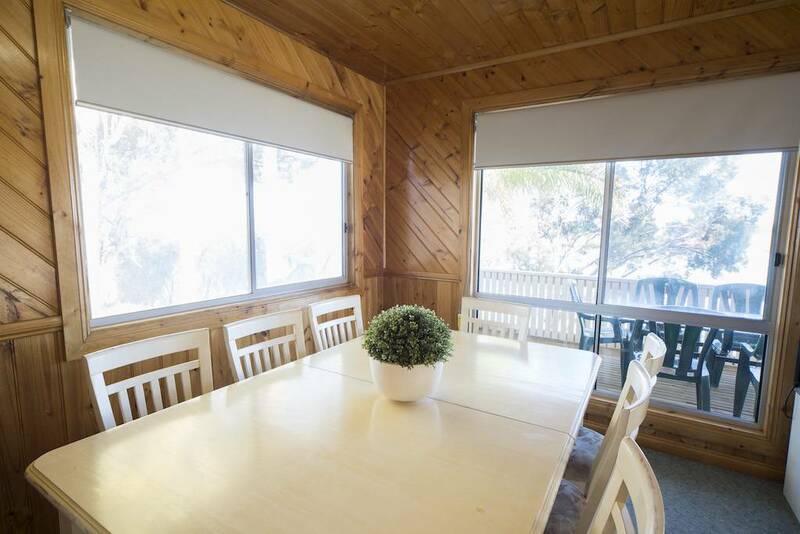 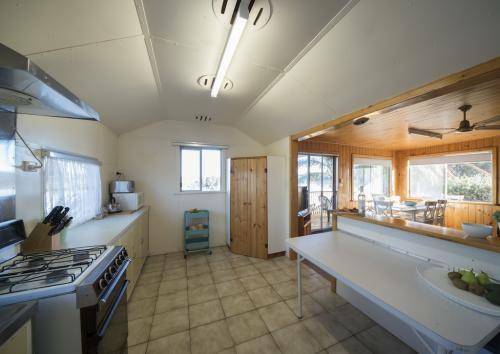 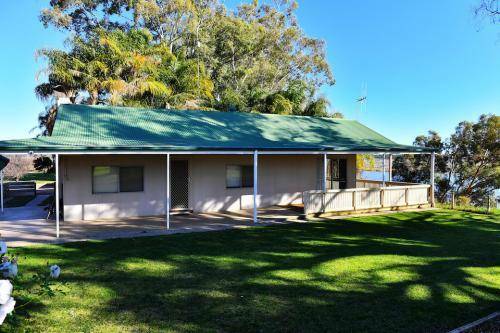 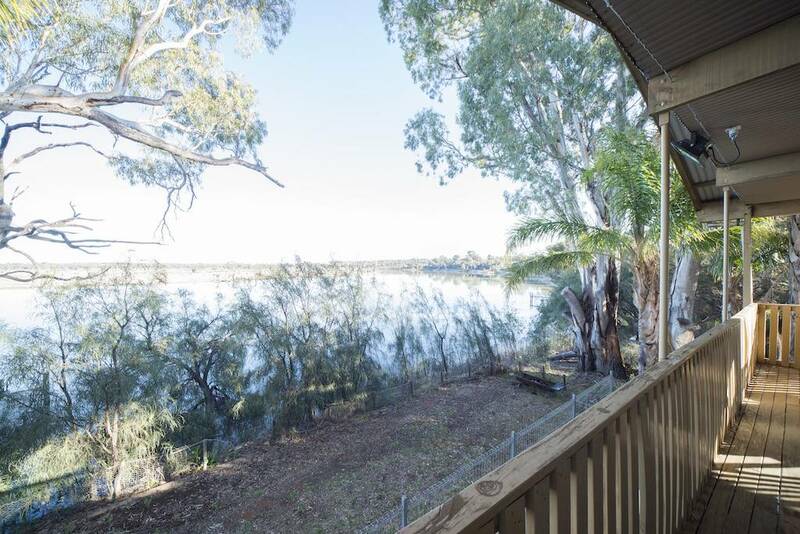 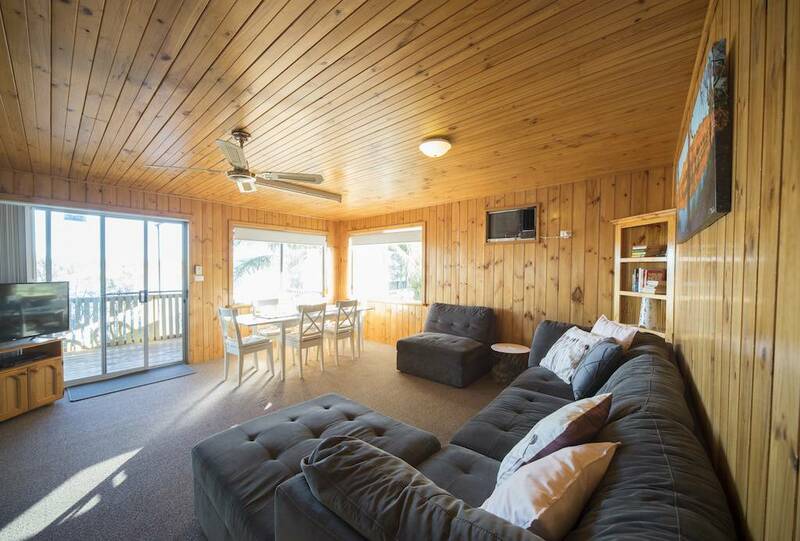 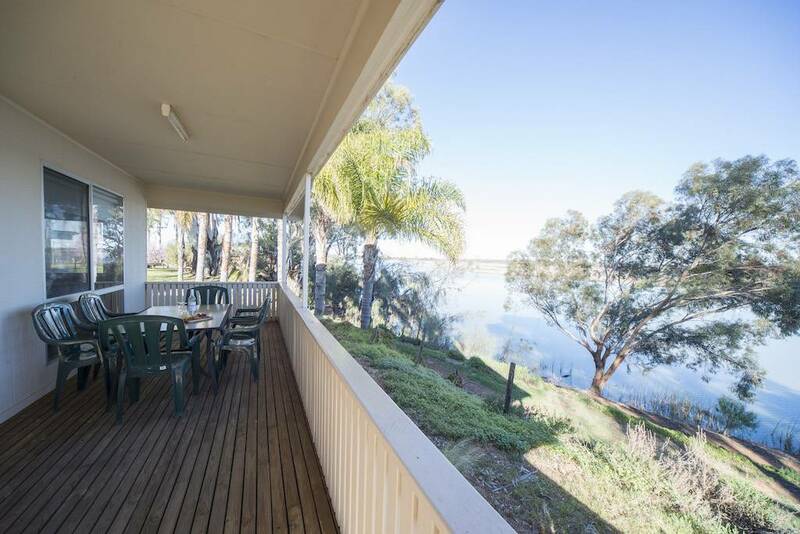 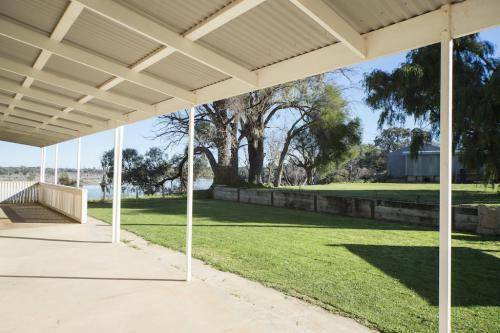 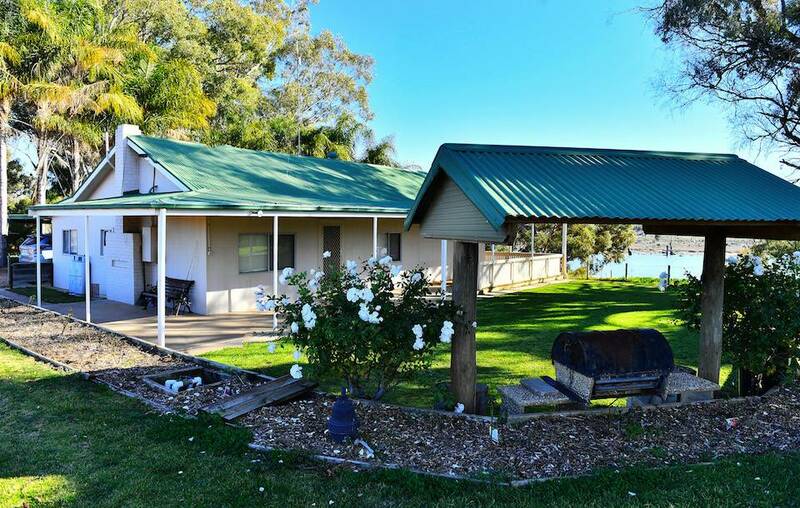 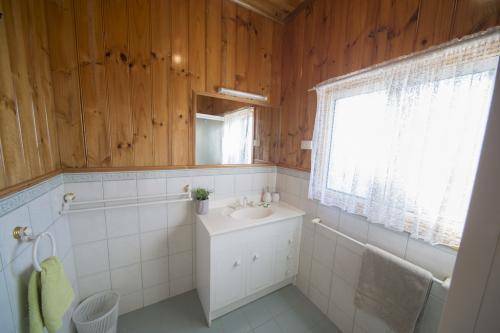 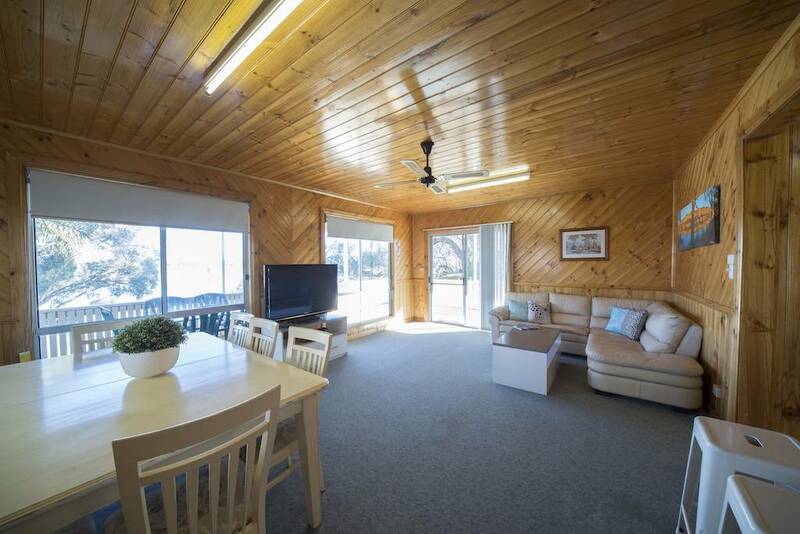 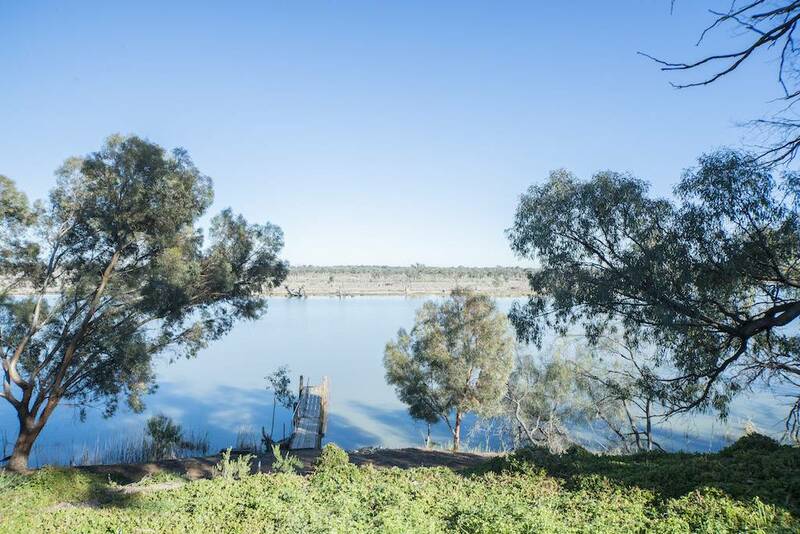 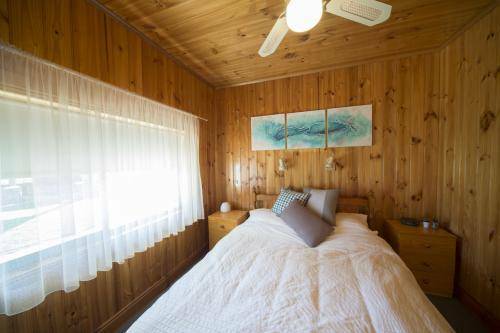 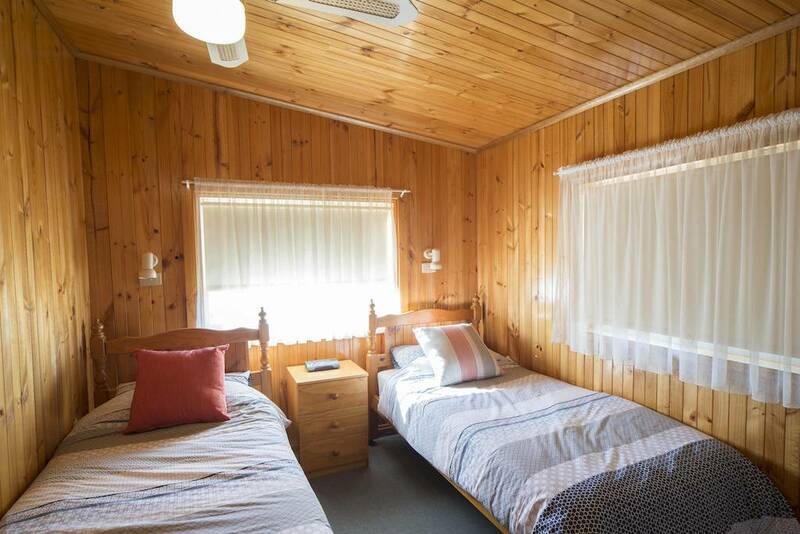 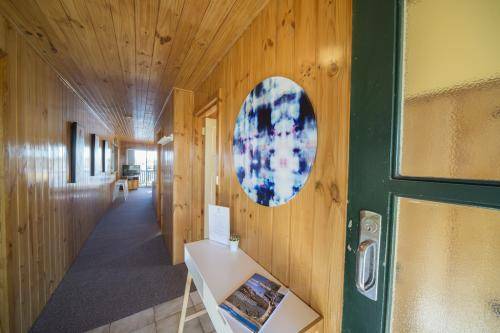 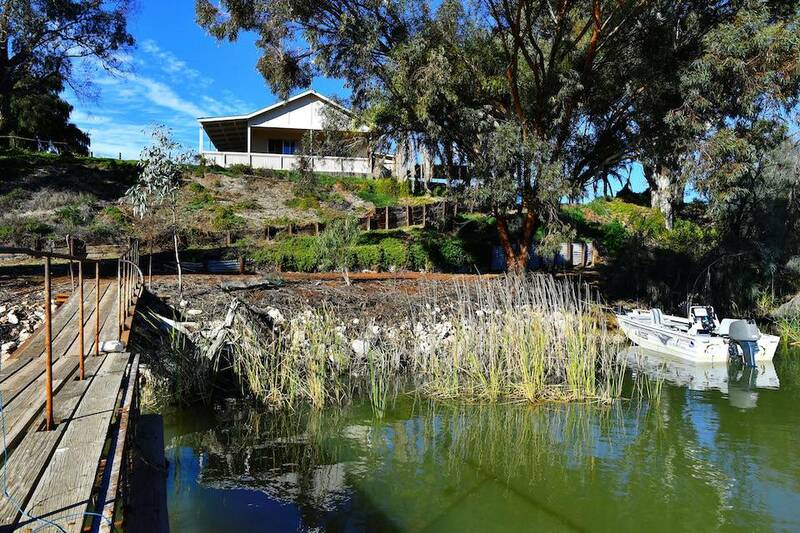 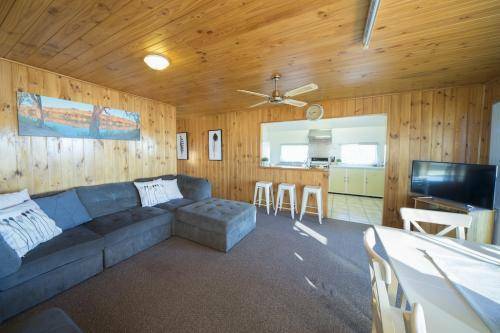 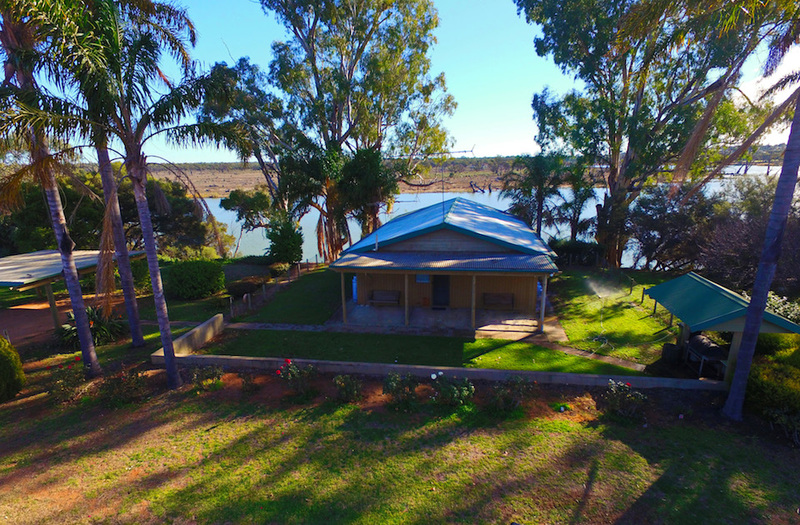 Mundic Waterfront Cottages offer absolute water frontage accommodation situated on the banks of the Mundic Creek, an offshoot of the famous River Murray. 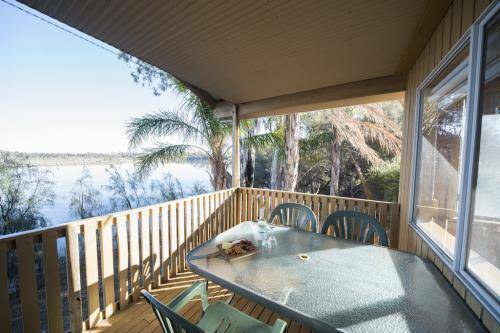 2 Self-contained cottages sleeping 6 and 7 people with balconies overlooking the water each with a private jetty. 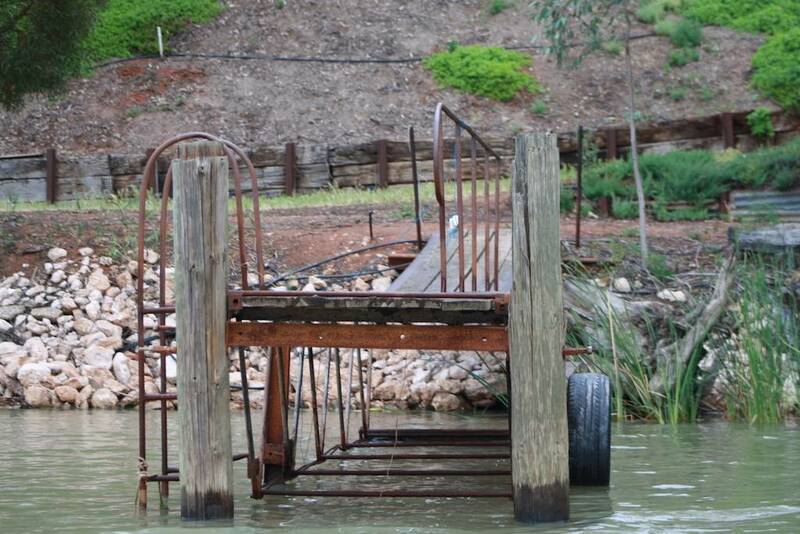 Boat ramp with mooring facilities at each jetty. 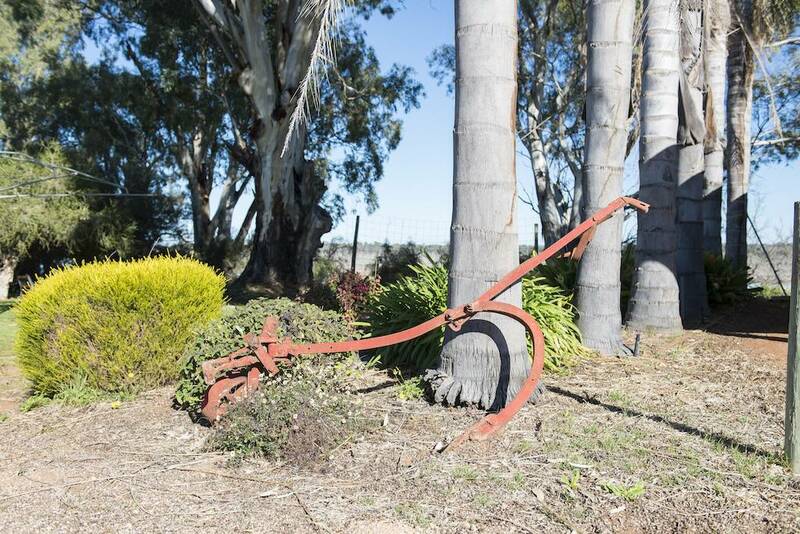 This property is set among beautiful established gardens, large gum trees, a working vineyard and offers leisure activities including bushwalking, fishing, yabbying, swimming, canoeing and water skiing. 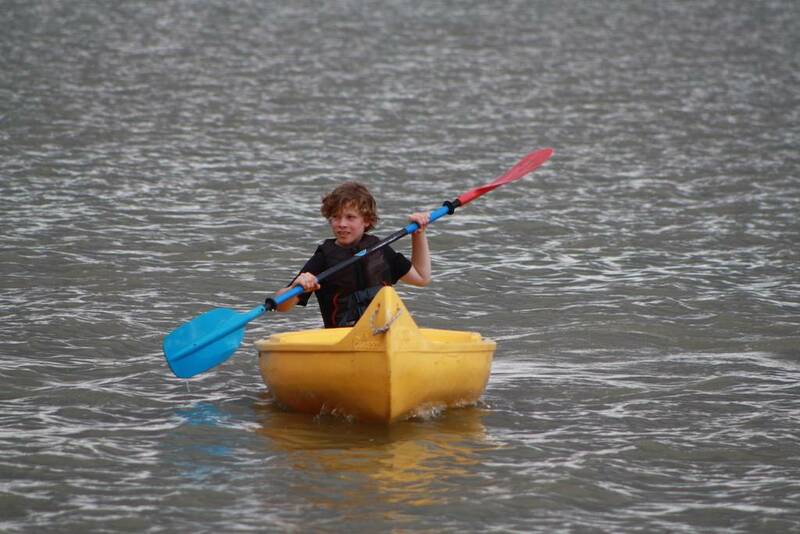 The cottages are perfect for family holidays and for groups travelling together. 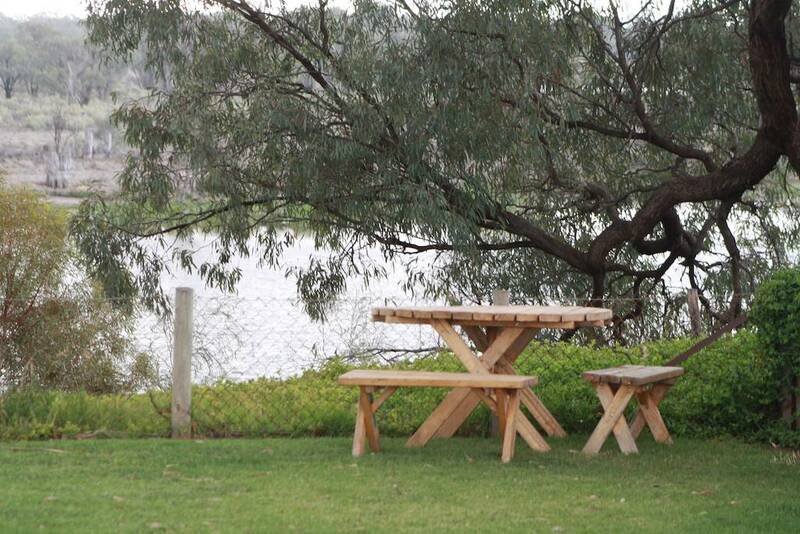 The large communal areas are perfect for BBQ's or just relaxing in the fresh air. This large Cottage is perfect for families as well as couples travelling together. Room to store your boat. Group Bookings & Functions Welcome! How relaxing to know that after your function you can just roll into bed! 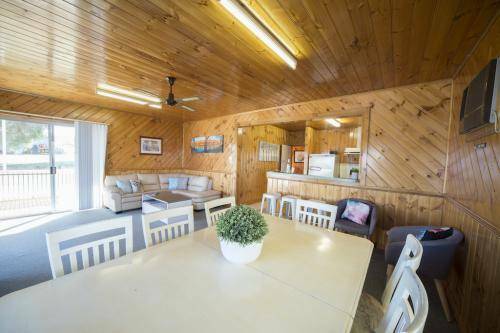 We welcome pre-arranged larger groups and private functions such as family gatherings, weddings, birthdays and families travelling together. 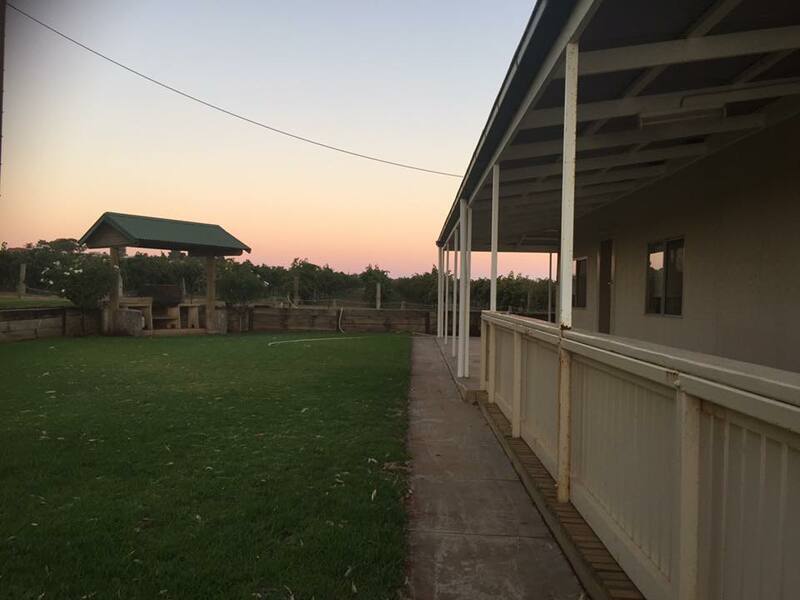 We have very large lawn areas suitable for events and can assist with Marquee & equipment hire if required. 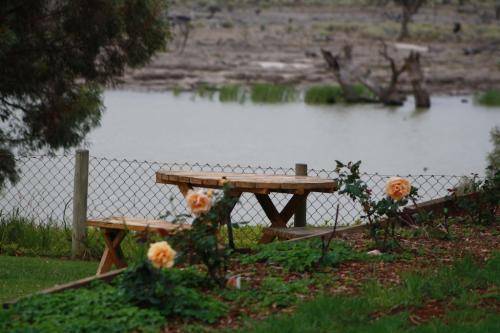 We can offer the entire site exclusively and you can invite family & friends to bring their caravan or camper to set up within the gardens near you (using the cottage facilities). 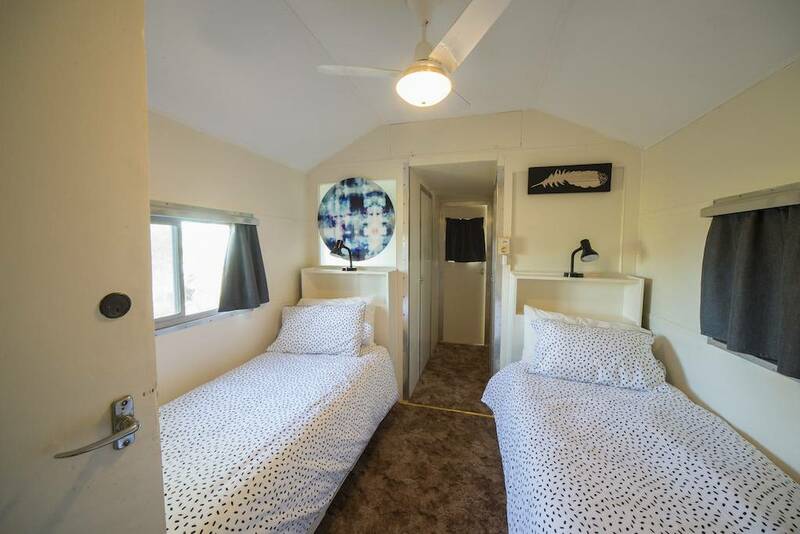 Campers travelling with tenants of a cottage using the cottage facilities are permitted at a minimal rate. 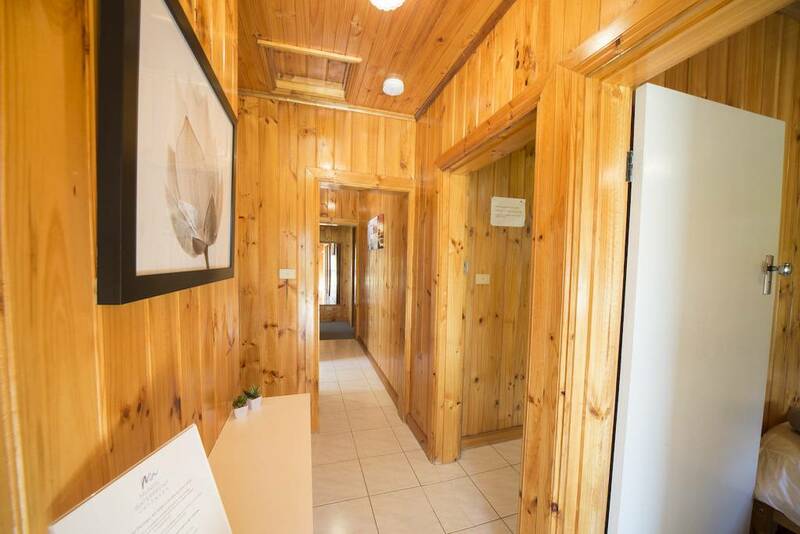 Please Note we do not have a separate Amenities Block. With pre-notice (3 days) we are more than happy to collect your grocery order and deliver it to your cottage prior to your arrival. 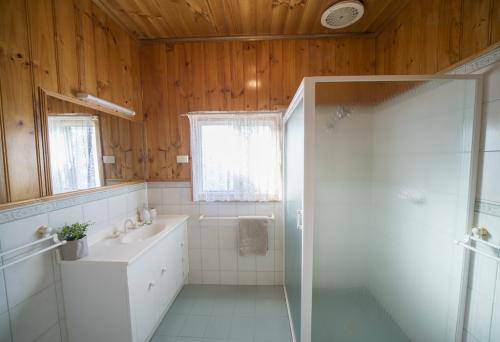 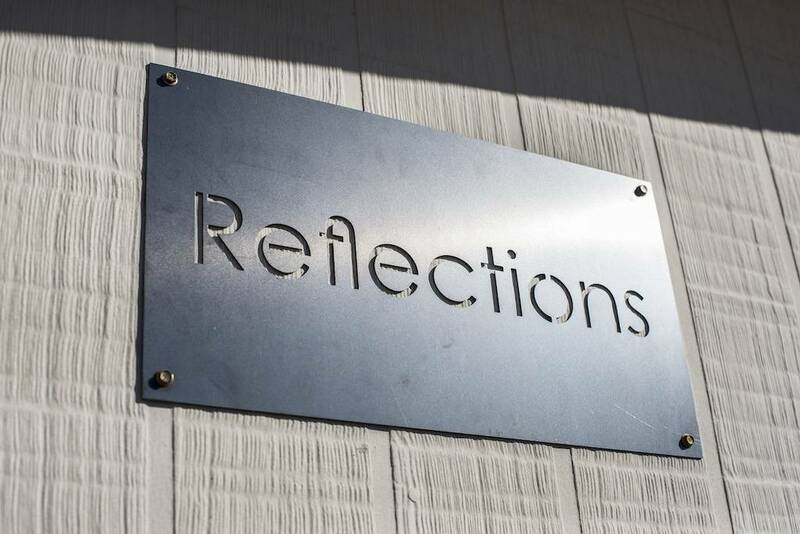 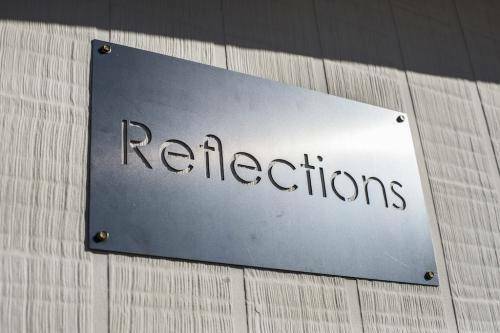 Unlike many others, this property offers complete privacy and tranquillity. 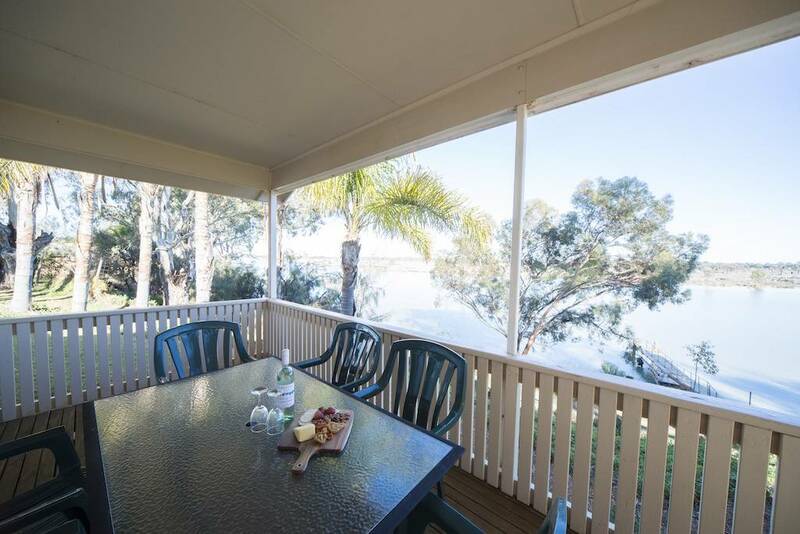 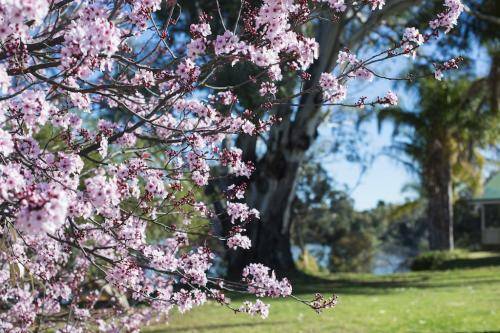 Enjoy walking around the large established gardens, sit on the balcony and enjoy the abundant bird life, fish from the jetty or enjoy a swim and ski during the warmer months. 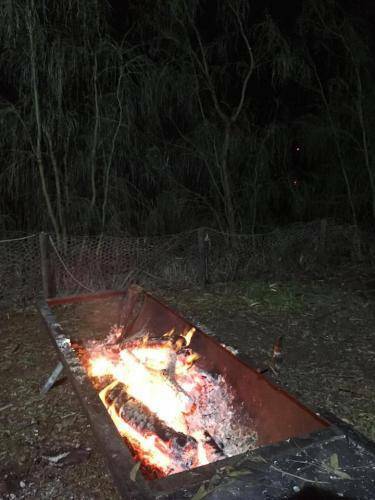 A prime position to canoe around the surrounding creeks with very little boat traffic or bush walk into the National Park which borders the property. 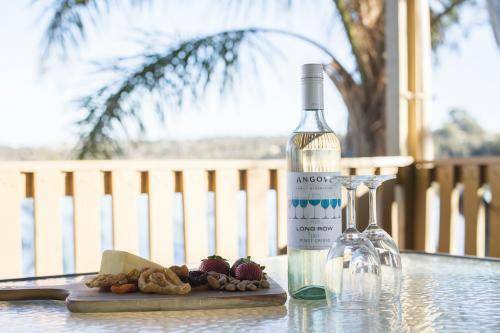 The cottages are surrounded by vineyards which makes for the perfect backdrop. Monash Playground. 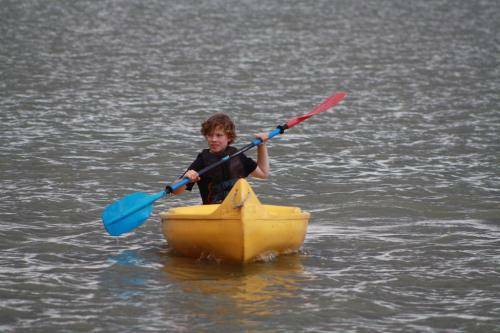 Author: Richard Rosalion Date: 1/10/05.